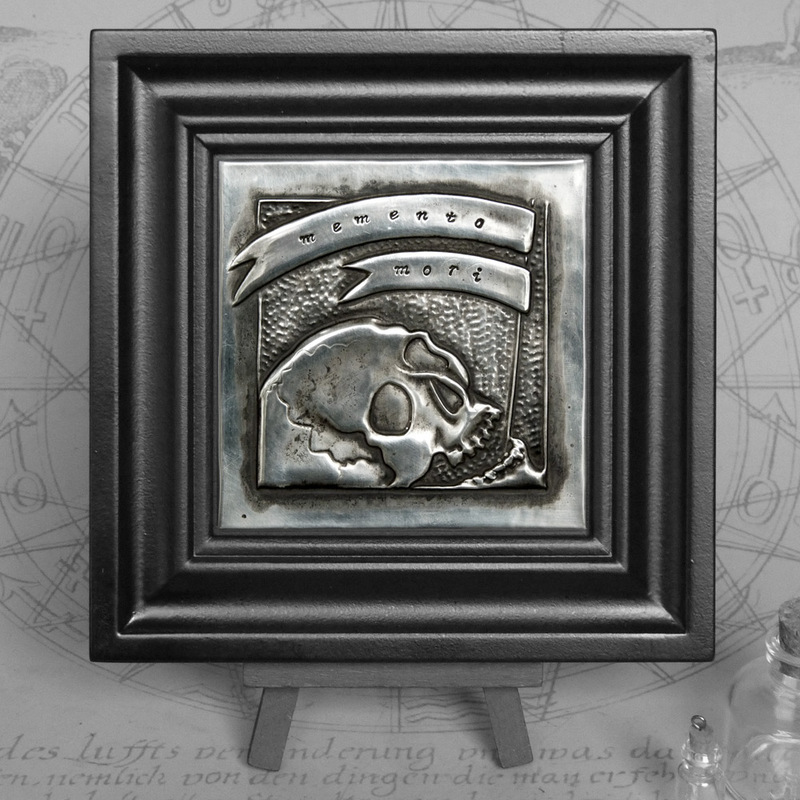 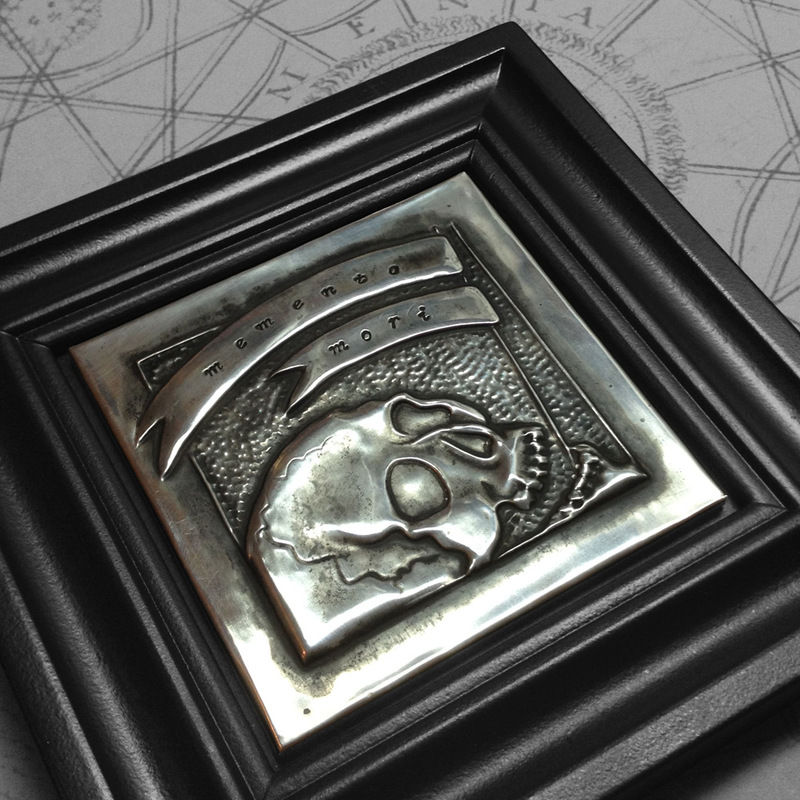 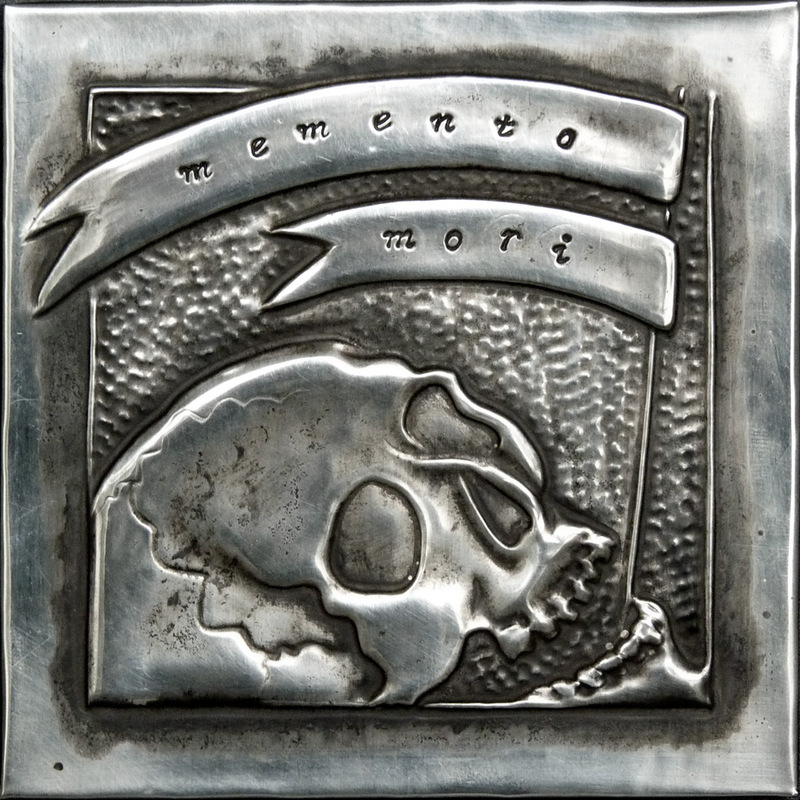 Embossed panel: 8.5cm x 8.5cm / 3.4" x 3.4"
I looked at images of old skulls for this piece. 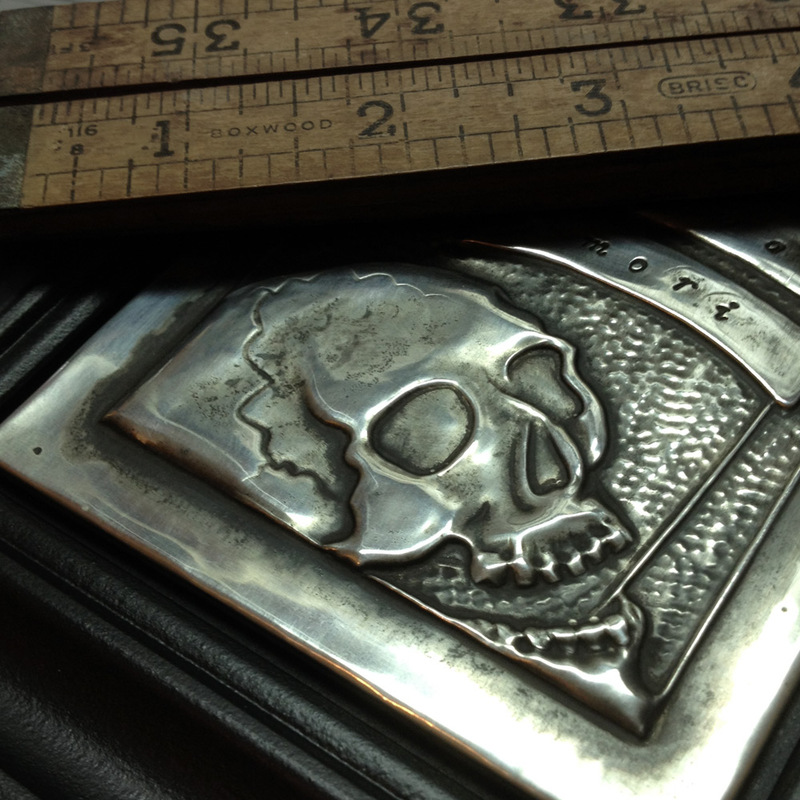 This grinning death’s head reminds you of your mortality with two hand-stamped banners. 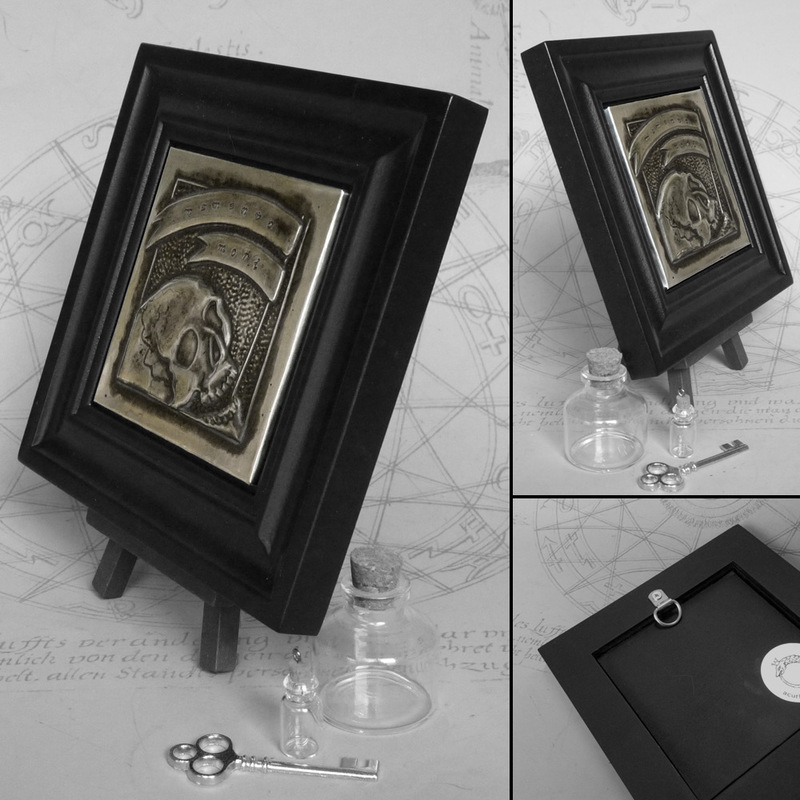 Lots of dark patina on this piece, and it’s set in a black wooden frame.